This is the 18th in the annual series of Strategic Asia, a landmark program of the National Bureau of Asian Research in Seattle. 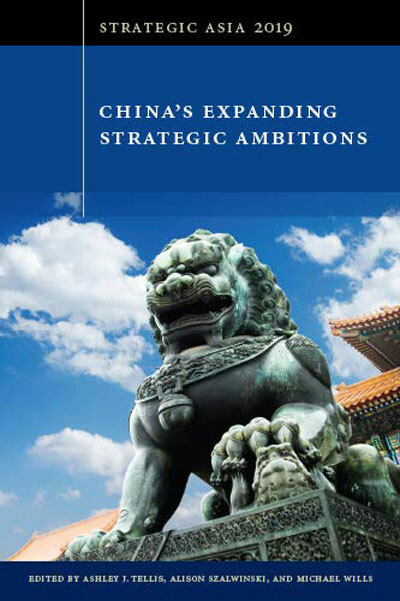 Here, 14 renowned China experts, sharing the recognition that decades of US engagement policy has failed liberal expectations, assess China’s global quest for great-power status to draw out countervailing strategies for the US. The authors suggest optimal strategies for the US in two dimensions: in the economic realm, it should aim at gaining the maximum possible benefits from international trade for itself and its friends, while simultaneously cutting the asymmetric gains that China has enjoyed thus far. And on the geopolitical front, Washington should deepen solidarity with its allies while paying consistent attention to addressing the problems of military modernization in order to preserve its military hegemony. Reviewed by Taehwan Kim, Associate Professor at the Korea National Diplomatic Academy and book reviews editor for Global Asia. Nationalism can be defined as the ideology, or discourse, of the nation. It’s an historically specific principle, by which collective nation-building action was co-ordinated and mobilized via belonging to the nation as a primary collective identity. It helped to achieve the political project of the fusion of state and nation. In the 21st century, it is resurgent again — but with different faces and repercussions. John Judis traces the recent rise of US and European far-right populist nationalism. The “left-behinds,” victims of the uneven development of global capitalism, became prime candidates for an exclusionary nationalist appeal. Their resentment and fear over immigration, fused with a fear of Islamist terrorism, loomed as the single greatest precipitant of this new nationalism. 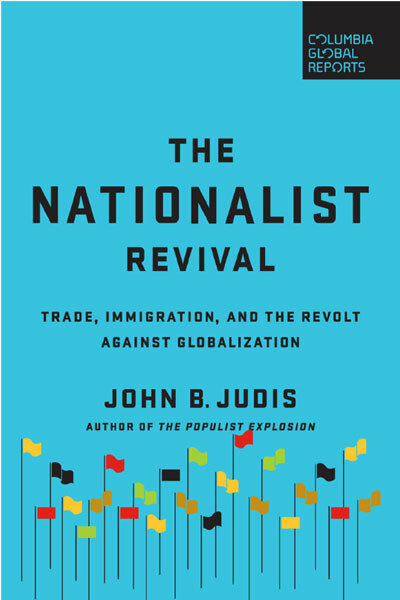 Thus, Judis argues, “today’s conservative nationalism is a complex of attitudes and sentiments about economic, social and moral decline that has been catalyzed into a nationalist politics by the economic, social, and moral issue of immigration.” He suggests that “internationalism,” under which nations cede some sovereignty to international or regional bodies to address problems they could not solve alone, can lead the world’s nations, the great powers in particular, to learn to co-exist in peace and co-operate to meet natural, environmental and economic challenges. Europe and Asia have long been seen as separated spaces. This should no longer be the case. An integrated supercontinent is emerging not simply because of geographical and economic integration rendered possible by the technological innovations and globalization of the previous century. Bruno Maçães, Portugal’s former Europe Minister, argues here that the rise of Asia, combined with a receding Europe, makes the integration real and imminent. Maçães eventually suggests Eurasia as a way of signaling a new balance between the two poles — the West (Europe and the US) and Asia. The winds of modernity have for centuries blown from West to East, but now they have begun to reverse. Two decades ago, optimistic predictions abounded about what good the Internet would do for world politics. The Arab Spring in 2010 probably marked the height of optimism about the Internet and social media, but its negative and ugly side rapidly emerged. This book, if published a decade ago, would have been but one of a few dystopian prophecies of the new media. Today’s reality, however, confirms that social media is a “powerful weapon of war” — to quote Steve Bannon, Breitbart’s CEO and former advisor to US President Donald Trump. Technology is neutral. 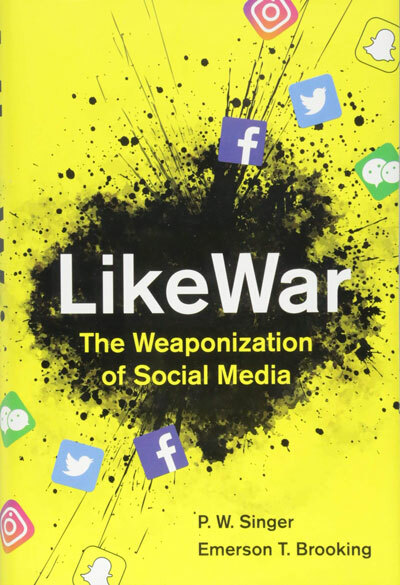 But Singer and Brooking, both defense experts, argue that, depending upon the intentions and motivations of those using social media, a formidable new ecosystem is built in which human nature’s homophily (“love of the same”) combine with virality augmented by social media’s algorithms to have grave impacts on society by exciting, amplifying and even fabricating conflicts. With this premise, the book navigates conflicts aggravated by social media, from electoral politics to inter-state and inter-ethnic conflicts to terrorism. The central theoretical debate among scholars of international relations for decades boils down to a question of which is more important: power, principles or identity? John Mearsheimer of the University of Chicago is a scion of the “realist” school that holds material interests to be the driving factor in world politics, and “balance of power” to be the prudent basis for a world order. 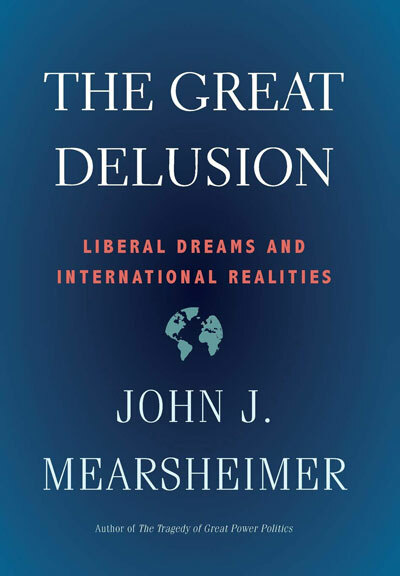 In The Great Delusion, Mearsheimer writes a defense of realism in the form of a polemic against liberal internationalism. Reviewed by John Delury, Associate Professor at Yonsei University Graduate School of International Studies and Associate Editor of Global Asia. The discourse around unification in South Korea for the past decade was dominated by one “perfect” blueprint: the reunification of Germany (subject of countless conferences in Seoul). But as inter-Korean relations improve and direct contacts resume across the 38th parallel, less ideal but more plausible models are getting attention. 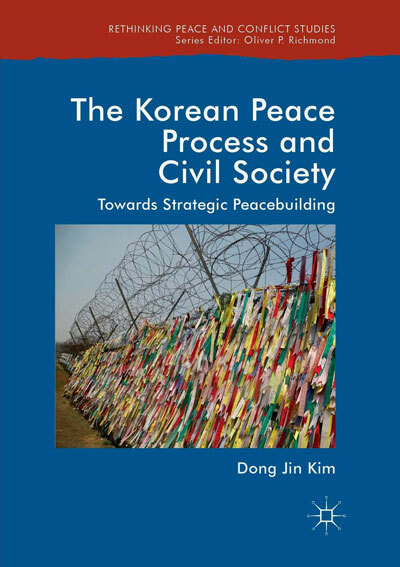 Dong Jin Kim’s book is a case in point: “Irish peace process” isn’t in the title, but Kim’s thinking is deeply informed by his knowledge of the “imperfect peace” in Northern Ireland, gained from his academic perch at Trinity College Dublin. He is also steeped in the theoretical literature on peace and conflict studies, which he deftly applies to the Korean question. He untangles the history of how inter-Korean relations have factored in the complex evolution of civil-state relations in South Korea. He shows how civil society actors can use the concept and techniques of “strategic peacebuilding” to fill the gaps that must develop when peacemaking is left to the politicians. His insight that high-level negotiations are bound to come short in the absence of a “sustainable platform” of people-to-people peacebuilding couldn’t be more apt in the wake of the Hanoi summit. But one crucial dilemma Kim fails to grapple with fully: how can civic actors engage a country like North Korea, where civil society essentially does not exist? The lasting impact on South Korea of the 1997 financial crisis could be felt last fall when millions of people bought tickets for the new film “Default.” The movie tells the story of those painful events through the eyes of a factory owner, investment entrepreneur and central bank analyst, dramatizing the uneven impact and varied responses. One might think of this book as the scholarly sequel. Deeply researched and ambitious in argument, the book explores the paradox of state-led neo-liberalist reform in the decades after what Koreans call the “IMF crisis.” The authors find that after the shock of 1997, Korea stumbled into a hybrid model that combined vestiges of developmentalism — the strong state approach that enabled the “miracle on the Han” from the 1960s through the 1980s — with Anglo-US neo-liberal ideas about privatization and deregulation. As they point out, neo-liberal reforms actually began in early 1990s, but were accelerated due to internal and external forces thanks to the Asian financial crisis. Afterward, the Korean state continued to play the role of the visible hand, as it were, but found more “indirect and sophisticated” means to direct the national economy. The ghost of Versailles 1919 still haunts the corridors of today’s “liberal world order.” On the centenary of that epochal failure by US and European leaders to forge a lasting post-war peace, Asia After Versailles takes a fresh look at the meaning of faraway events for a mixed cast of actors from Istanbul to Tokyo. Cemil Aydin contributes a fascinating chapter on “Muslim Asia” and how the breakup of the Ottoman Empire energized pan-Islamic and pan-Arabic movements alongside better-known nationalist ones, such as in Turkey. Gotelind Müller shows how Chinese anarchists (not just Communists) got a major boost from the popping of the “Wilson bubble,” as liberal ideals were betrayed by the big powers in Paris. 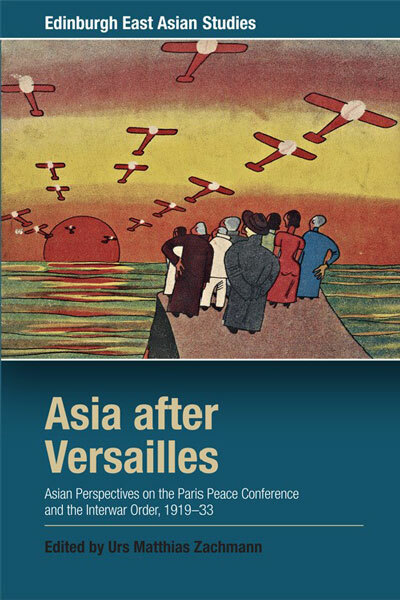 Japan’s diplomatic role and public response to Versailles is explored, and there is an interesting treatment of India’s complicated relationship with the League of Nations as its only non-sovereign member state. 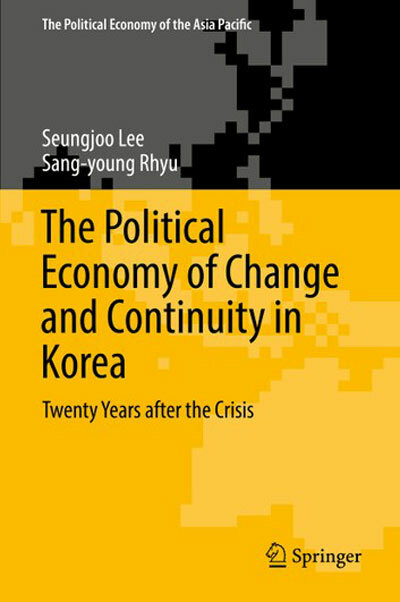 Despite the range, there are serious lacunae: Korea comes up often in a Japanese context but doesn’t get a chapter. Ho Chi Minh was in Paris to argue for “self-determination,” yet Vietnam doesn’t get a chapter either. The rise of communist influence in Asia as a whole is also largely overlooked, a casualty of the authors’ revisionist pursuit of alternate voices. A fresh look at Asia’s “Leninist moment” would have made interesting, and still relevant, reading. The rise of populism has spawned recommendations from policy analysts on how to re-engage voters and limit the gap between them and political elites. 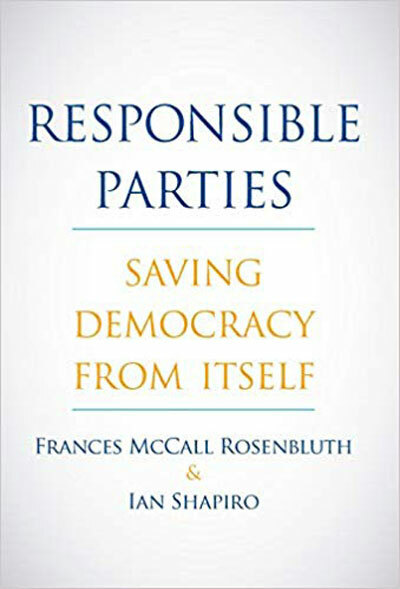 Frances Rosenbluth and Ian Shapiro, both political scientists at Yale, offer a counter-intuitive set of policy prescriptions: a strengthening of party authority and a bolstering of governing institutions. The current crisis of democracy is the result of too much decentralization of power, particularly the increased authority of activists and special interests. Effective governance is best realized via majoritarian systems of rule, not proportional representation-based electoral systems. The UK model, with its tendency to produce strong two-party competition, catering to a wide share of the electorate, is most robust in countering the new, divisive identity politics. But it is an ideal, and UK politics, as the Brexit vote shows, is imperfect. The authors urge enlarging constituencies to encourage greater inclusivity. The strength of analysis is not only the focus on process and institutions, but also the breadth of comparative coverage: polities including Western Europe, the US, Latin America, Eastern Europe’s incipient authoritarian states and hybrid electoral systems in Japan, New Zealand, Italy and Mexico. Without minimizing the scale of the problem associated with the reaction against globalization and institutional failure, this timely analysis offers practical solutions for a critical crisis of governance. 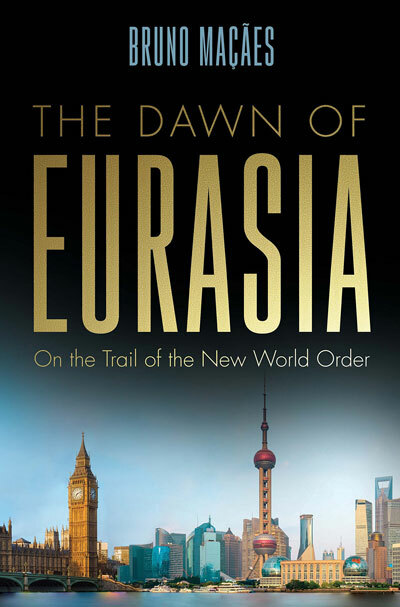 Reviewed by John Nilsson-Wright, Senior Lecturer, University of Cambridge, Senior Research Fellow for Northeast Asia, Chatham House, and a regional editor for Global Asia. Japanese politics in the 1960s have tended to be seen as a sharp turning point from the tensions of the tumultuous 1950s and the fractious debate over the revision of the US-Japan Security Treaty toward a focus on economic growth and consensus politics. Nick Kapur offers us a fresh interpretation that highlights the continuing diversity of political, intellectual, social and cultural trends. He presents illuminating new insights: a portrait of Prime Minister Ikeda Hayato as a politically sophisticated, tactically astute leader who prevented the fragmentation of Japan’s governing Liberal Democratic Party; evidence of the efforts by US President John Kennedy and Ambassador Edwin Reischauer to craft a more equal and constructive bilateral partnership with Japan; and detailed accounts of the tensions that split the protest movement that rallied against Prime Minister Kishi Nobusuke and the closer US-Japan Cold War partnership. Innovatively, Kapur suggests 1960 should be seen as an “inflection point” that helped define a new political and social environment. 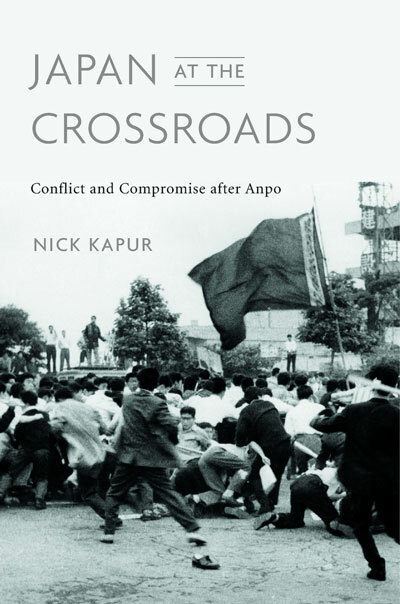 Kapur mines a wealth of Japanese sources to illuminate the contested nature of identity politics among different actors across Japan’s political and social spectrum, and in the process paints a new, vivid and illuminating picture of Japan’s modern post-1945 history. The contemporary challenge of populism is critically but not exclusively shaped by economic pressures, institutional weaknesses and declining confidence in governing elites and supra-national institutions, and not merely by the rise of identity politics. 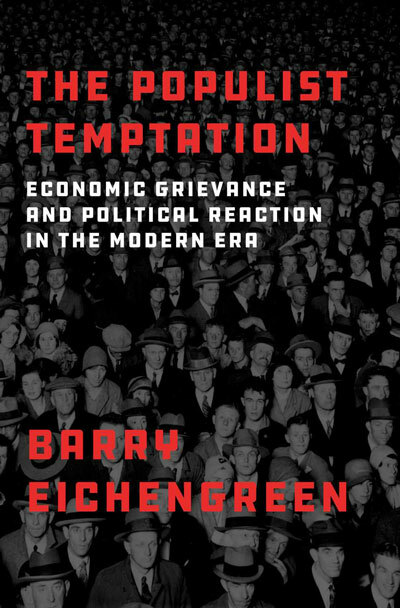 These are the core findings of Barry Eichengreen’s lucid, wide-ranging analysis of populist and proto-populist movements that have periodically threatened the stability of governments in the US and Europe. By studying the rise of populist parties and demagogic politicians in 19th and early 20th century polities — from the US’s People’s Party and William Jennings Bryan in the 1890s, to the trade protectionism of the British radical politician Joseph Chamberlain, to the extreme authoritarianism of fascist Germany and Italy — he considers why some states were more susceptible to populist tendencies. Part of the durability of democratic governance has been a function of the existence of strong states, or the early provision of models of social insurance; part has also been due to new electoral systems designed to guard against extremism post-1945, global factors such as the stabilizing influence of the Cold War, rapid technological change and economic growth between 1950 and 1975, and labor-business corporatism after the Second World War. These lessons from the past offer prescriptions for addressing the vulnerabilities of government in the US and across Europe, including the need to strengthen existing institutions within the EU, while combating growing inequality and adopting collective solutions to the challenge of immigration. Japan’s ruling Liberal Democratic Party and Prime Minister Shinzo Abe are often called conservative political actors, a fair reflection of the LDP’s longevity. But in the context of economic policy, particularly monetary policy, it is singularly inappropriate. 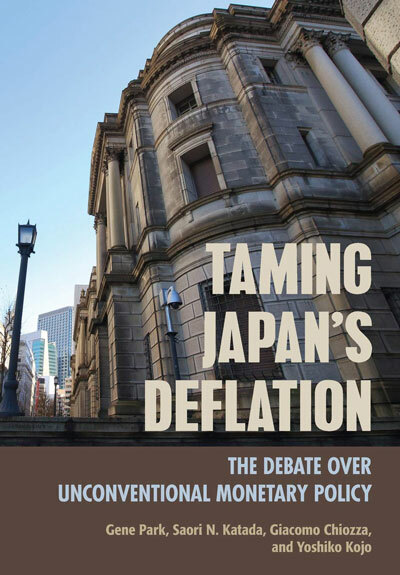 This timely and detailed analysis, based on extensive interviews with Japanese officials and close analysis of the words of leading bureaucrats and politicians, reveals a radical approach by Abe in challenging the policy-making conservatism of the Bank of Japan. This important comparative analysis highlights the Abe administration’s policy boldness but also how relatively slow Japan has been, until recently, to adopt other central banks’ more innovative approach. Michael Mandelbaum’s slim volume has a simple theme: The long peace since the fall of the Berlin Wall is being threatened primarily by three actors — Vladimir Putin’s Russia, Xi Jinping’s China and Ayatollah Khamenei’s Iran. The only development that hopefully can eliminate the threat of war posed by these countries is the emergence of democracy. Mandelbaum doesn’t have much hope, and wants the reader to understand what is at stake. This book, as with most of this foreign-policy expert’s writings, presents a clear, structured analysis. 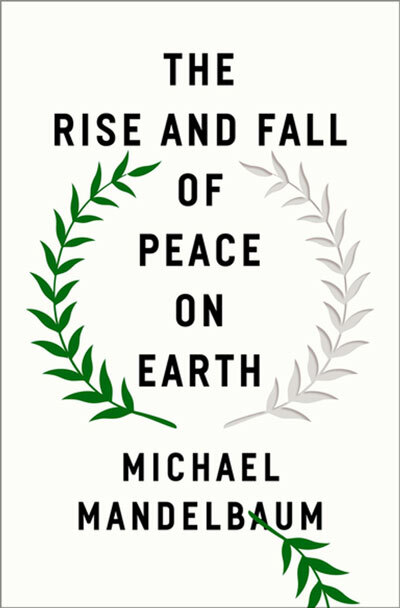 Mandelbaum first narrates how peace transformed Europe, East Asia and the Middle East in the past quarter century, before taking the reader down the steps taken by ambitious, authoritarian leaders in Russia, China and Iran that challenge that peace. China’s “active revisionism,” seeking to recover lost territories and regain its rightful prominence, replacing US hegemony, stems as much from Xi’s ambitions as from the nationalism embedded in Chinese political culture. But slowing economic growth places Xi in a similar position as Putin with falling oil prices. For both, aggressive nationalism has become an appealing tool to cling to power. Meanwhile, Iran’s ambition to dominate the Middle East is challenged by its economic failure, but adventurism abroad allows the clerics to claim the loyalty of its citizens. Introduction of popular sovereignty and liberty, Mandelbaum says, could moderate the behavior of these countries. But don’t hold your breath. Reviewed by Nayan Chanda, founder of YaleGlobal Online and a Global Asia Editorial Board member. Since the seminal 1987 paper by geneticist Rebecca Cann and colleagues establishing the African origins of Homo sapiens, evidence of our singular ancestry has multiplied. But some aren’t buying it, certainly not Hindu nationalists, now in power in India. For them, Sanskrit-speaking Aryans were indigenous to India, and creators of the 6,000-year-old Indus Valley civilization. That neither linguistic nor archaeological evidence exists seems not to matter. 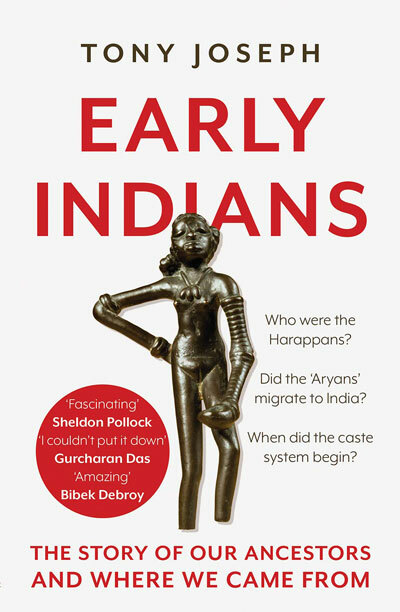 Journalist Tony Joseph’s impressive study, Early Indians, based on genetic research and linguistic and archaeological evidence, demolishes the pet Hindutva theory. He cites a plethora of scientific research (a bit much for lay readers) to show the Indian subcontinent was first populated by humans trudging from Africa from about 60,000 years ago. (My own DNA showed my ancestors arrived in India 40,000 years ago). What the Hindu “scholars” find hard is that a new group of immigrants calling themselves Aryans and speaking an Indo-European language arrived in India around 4,000 years ago. To them, Sanskrit or Vedic culture is synonymous with Indian culture. So to ask when the Aryans arrived is to ask: “when did we import our culture?” For the proud nationalist, this is a gross insult. Given the urge of India’s ruling party to rewrite history to further exalt India’s civilization, Joseph’s well-documented book is a valuable counter. John Delury is an Associate Professor of International Studies at the Graduate School of International Studies at Yonsei University, Seoul, and a book reviews co-editor for Global Asia. Taehwan Kim is Associate Professor at the Korea National Diplomatic Academy and a book reviews co-editor for Global Asia. Nayan Chanda is founding editor of YaleGlobal Online and a member of the editorial board of Global Asia. He is the author of Bound Together: How Traders Preachers, Adventurers and Warriors Shaped Globalization (Yale University Press, 2007). John Nilsson-Wright is Senior Lecturer, University of Cambridge, Senior Research Fellow for Northeast Asia, Chatham House, and a regional editor for Global Asia.